Enter the Arena and fight in Copa América de World of Warcraft 2017! The Horde and the Alliance are starting their tour of Latin America, preparing their weapons and compositions to fight in the most important arena of the region. The Copa América de World of Warcraft tournament is coming back for the third year in a row, promising more excitement than ever, with more competitions, bigger prizes and an epic live finals, happening in São Paulo. Can the current Copa América champion hold on to his crown? Are you and your team are ready to end his reign? The Latin America teams will battle not only for the glory of becoming the new champions of Copa América, but also for US$ 15,000.00 in prizes and a spot in the WoW Arena World Championship at BlizzCon 2017! Open Qualifiers: The action starts May 29th, with 4 open qualifiers with double elimination brackets and best of 3 disputes. Groups Phase: The 8 qualified teams will play in a free-for-all for 3 days, competing for a prize of US$ 4,000.00. The best 4 teams will be qualified for the next season, while the other 4 will play in the Downgrading Phase. Open Qualifiers: Again, there will be 4 open qualifiers, but with a different outcome: only the winner team of each qualifier will move forward to the next round. Downgrading Phase: Each of the 4 teams with the least victories in the Opening Groups Phase will face one of the 4 teams qualified for this season. The duels will be in the Best out of 5 format and the winning teams will move forward to the Closing Groups Phase. Groups Phase: The 8 teams will be split in two teams of 4, and each group will play in a double elimination format. 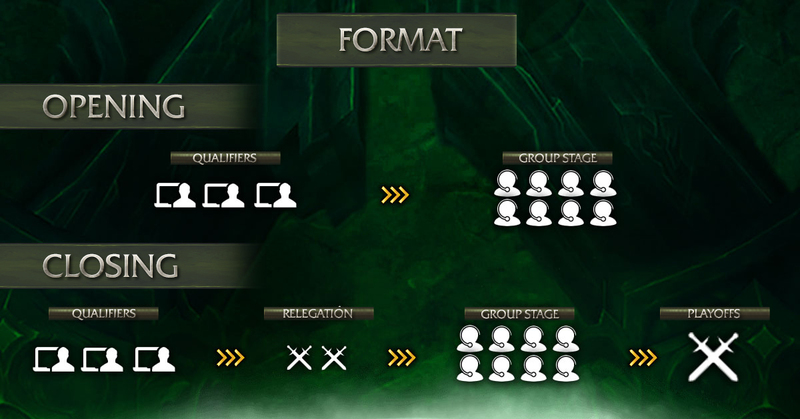 The best 2 of each group will move forward to the live Playoffs at #WoWCopaAmerica. Playoffs: The 4 best teams of the year will battle in a double elimination bracket in São Paulo, with US$ 11,000.00 in prizes. 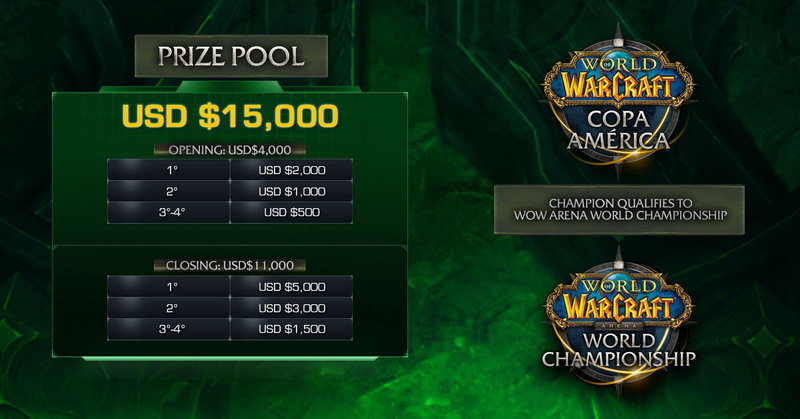 The champion team will advance directly to the WoW Arena World Championship in BlizzCon! The sign-up dates for the qualifiers will be revealed soon, and you will be able to share it with the #WoWCopaAmerica hashtag. Invite your friends and prepare your team to fight for the glory of the most important tournament of our region.